After George H. W. Bush lost his re-election bid to Bill Clinton in 1992, John Robert Greene's verdict on the 41st president of the United States was that he "brought no discredit to the office" and "was both patient and prudent. . . mak [ing] few mistakes." 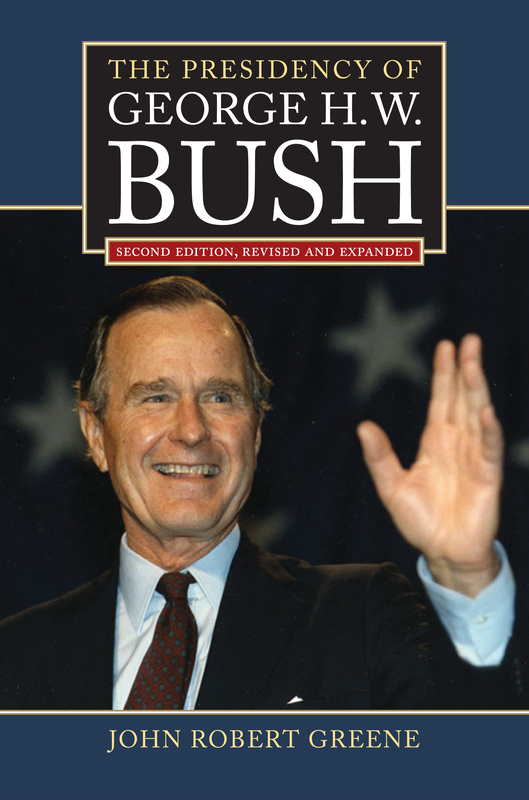 In the years since the release of Greene's profile of the senior Bush, deemed by Publishers Weekly, "the essential introduction to Bush's abbreviated, but still consequential, tenure in office," a wealth of materials about Bush's presidency has become available, even as distance has sharpened our perspective on the Bush years. In this significantly expanded second edition of The Presidency of George H. W. Bush, Greene takes full advantage of newly released documents to revisit Bush's term, to consider his post-presidency accomplishment, and to enhance and clarify our understanding of his place in history. Such milestones as the fall of the Berlin Wall, the reunification of Germany, the fall of the Soviet Union, the savings and loan crisis, and the transition to the Clinton administration receive renewed and far more detailed treatment here, as do the ramifications of George H. W. Bush's positions and policies. Greene also devotes ample attention to Bush's post-presidency, including his relationship with his son, President George W. Bush, as well as the development of his close friendship with Bill Clinton. The elder Bush emerges from this reappraisal as a considerably more activist president, with a more activist administration, than was previously assumed. Greene's concise and readable account drawing on the contents of the bush Library, the papers of James A. Baker III, and personal interviews, shows us the 41st president—and thus an important chapter in American history—in a new and more revealing light. John Robert Greene is Paul J. Schupf Professor of History and Humanities at Cazenovia College. His many books include The Presidency of Gerald R,. Ford and Betty Ford: Candor and Courage in the White House.